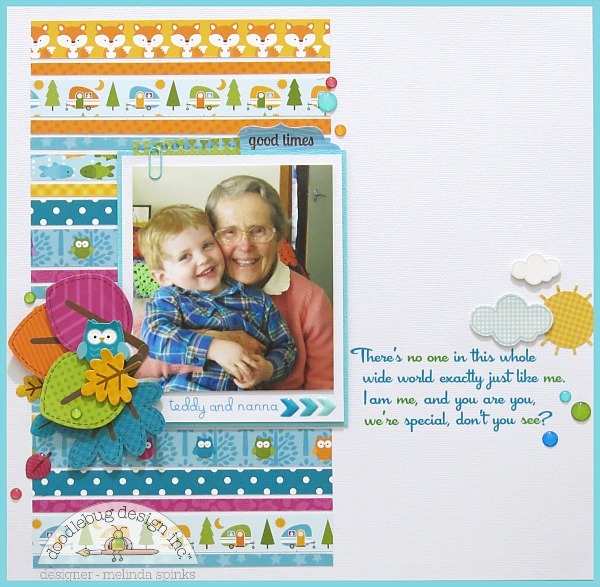 Hello and happy Friday... it's Melinda with you today and I'm continuing with the 'thankful' theme by not only sharing my layout but also adding a few ideas to help you get the most from your product. Firstly, let me introduce you to my Mum and my littlest man Teddy. I'm incredibly grateful they share such a loving bond because Teddy only has his Nanna (on my side) and sadly never met his Poppy. DESIGN | Now, let's work on making the most of every inch of product! Design plays an important role because the right design will enable you to use left over pieces of paper no matter what the size or what collection. By adding punched shapes or strips of patterned papers you are able to use up even the smallest of left overs as long as you keep the colours complimentary. ODDS & ENDS | I mounted my photo onto several pieces of plain card stock as I had a few odds and ends of stickers that I wanted to slip behind each layer and then add a mini paper clip to tie it all together. ALPHAS | I don't know how many times I've thought of a wonderful title for my page and then realised I didn't have enough alphas to create the words which is extremely disappointing. Your title doesn't always have to be the largest font on the page so drag out those rub-ons or smaller stickers and come up with a subtle title for your page. Whatever works for you! 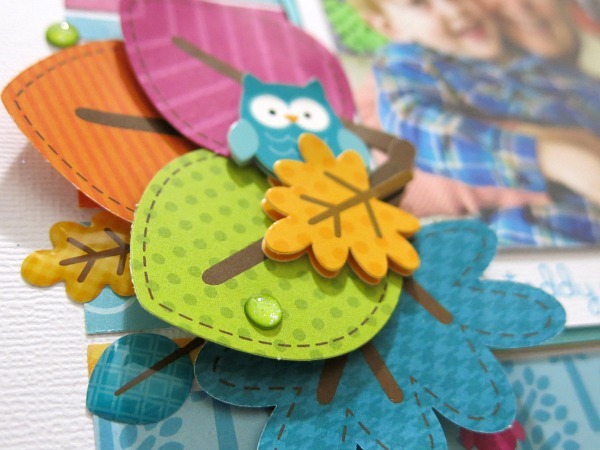 CLUSTERS | Adding clusters of embellishments to your work is another way you can make good use of your supplies and helps to add dimension and interest to the page. I layered the leaves using foam pop dots which was an ideal way to hide the fact that two of the underlying leaves had been cut in half to use on another project. Sometimes its good to sit down and go through your supplies and look at what you actually have hiding away in those drawers and cupboards and hopefully I've given you a couple of ideas to get you started. Jus fabulous Melinda & such a sweet picture! SUPER CUTE photo and layout Melinda!!! OMG Your LO is outstanding!! YOUR PIC is as ADORABLE & as PRECIOUS as can be!! Teddy's & your Mum's smile are identical he actually looks just like your Mum!! Your LO is definitely created with love and girl you did a fabulous job!! You are a very talented scrapper and you definitely scrap with passion. I feel quite honored that I got to see it so thanks for sharing a most precious piece of your life. YOU so ROCK!! 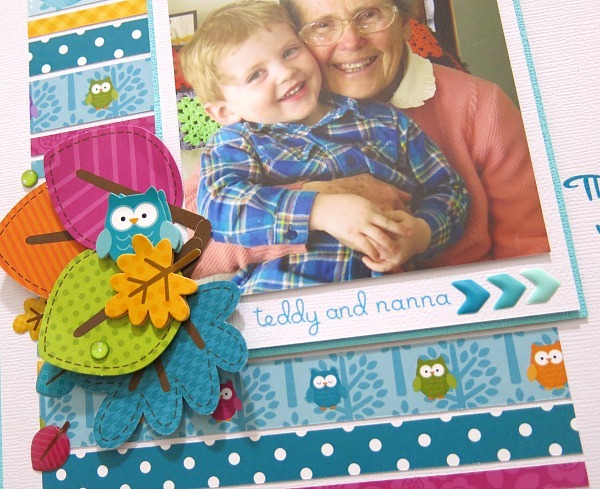 Brilliantly done - full of cuteness and awesome styling!! 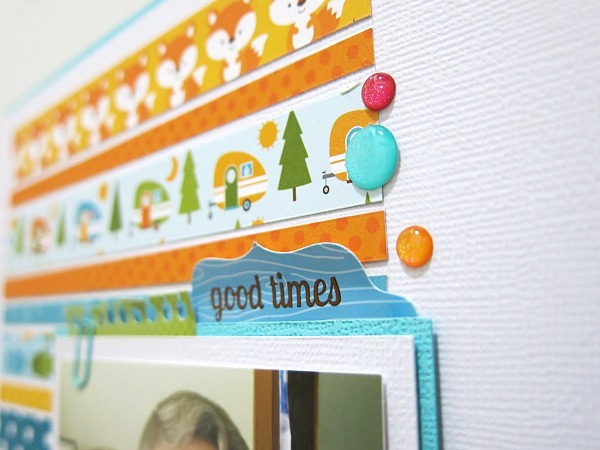 Love the idea of using up every last bit of my beloved Doodlebug products - no piece too small, right?!??? 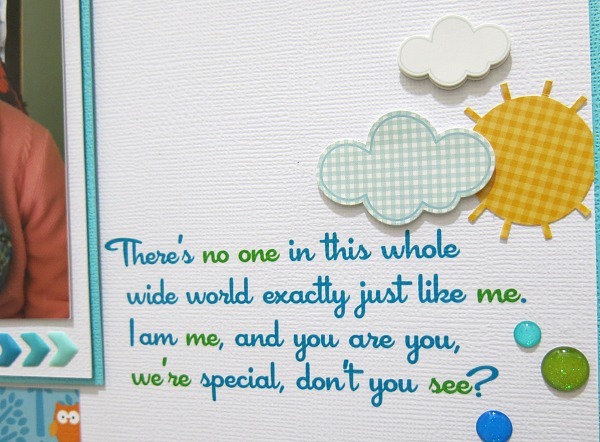 I really appreciated the message and sweetness of this layout - precious photo!! Thanks so much for the inspiration!! fabulous page! from a girl who holds onto EVERY SINGLE SCRAP of paper, this is the perfect kind of project for me to USE ALL THE THINGS! :) so bright and happy! You are amazing as always, what an awesome layout and I love the photo.